2-3pm: Meet the artist, interact with each piece, and share your ideas on dwelling from multiple angles. 3-4pm: Be one of the first 50 people to show up for a free sit-down lunch. Note: You have to agree to the set of instructions you are given before you are allowed entrance to the lunch. And, of course once we reach 50 no one else will be allowed entrance. 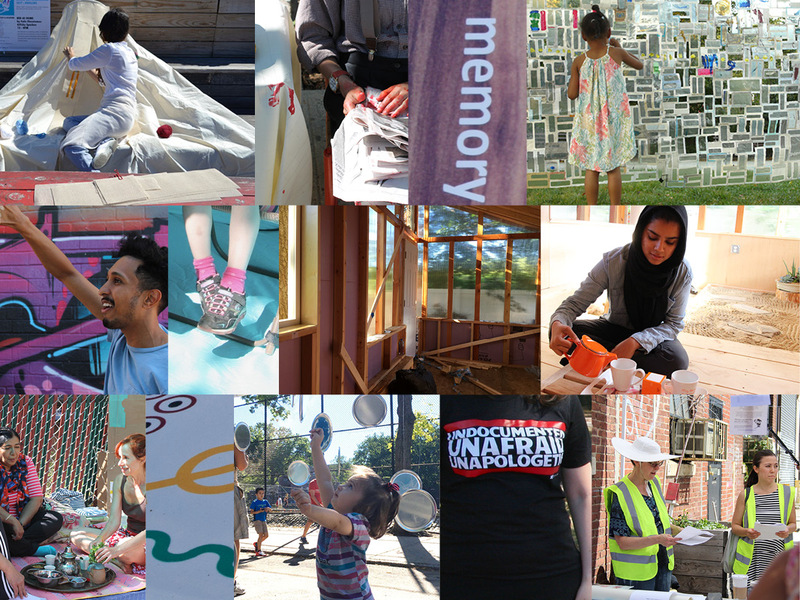 Social practice installation artist Yvonne Shortt has ideas, writes grants, sometimes gets funding, and then implements those ideas, often in public spaces. Four years ago Ms. Shortt had the idea of sharing some of her funding with other artists to create more impact in more places on the streets of Queens, New York. Queens Art Intervention, QAI for short, was born. The interventions are commissioned and based on a research project developed over one year by Ms. Shortt and her social practice studio, RPGA Studio, Inc. This year’s theme is Dwelling. The 2017 research project included a collaborative design and build of a mobile tiny house that upon completion was transformed into a tea and Zen garden catalyzing conversations around feminine dwelling. Priscilla Stadler / Grace Jean What’s Up with LIC? This exhibition was made possible by Queens Council on the Arts, Richard West, Elsie Chapman, Carmen Shortt, Awesome Foundation, Nannearl Blackshear, and Culture Push.